But before I get to that, I would like everyone to support an initiative, that looks like a good cause to me. Just a little while ago, I joined the #powerhousecreatives and although I haven't been very active posting myself here lately, I have found a wonderful community of great steemians and a lot of new and interesting content. They have some strict guidelines, but that also encourages positive input and I think it adds a lot of value to the platform. Now @theycallmedan is running a contest for a 20k steempower delegation for one year. And finally, the animated queen. Ringing her bell, she somehow reminded me of a recent call to action by @jaynie. Not that there is any physical resemblance of course! I enjoy reading your comments! Queen originally done in my special technique as introduced in What is Hinterglas? Thank you! Glad you like my art. The info about the powerhousecreatives is intended to spread the word about this great community and maybe have others join us. your vote in the poll for steemitbloggers would be greatly appreciated. Does she need another cup of tea? :) This is such a lovely illustration! I love that you made her hair move Reinhard :) Your illustrations are always so amusing and fun! I have noticed you in PHC recently and I'm glad that you joined. And it's nice of you to promote the dpoll here! I'm also planning to create my own post on that but I've been running from here and there and haven't found time to look at it yet..
Good palette, good subject and attention to detail. Pretty much of my liking. Thank you so very much for your kind words. I see the same attention to delicacy and Details in your work as well. When I saw other users animated drawings, I thought - Oh my God..how horrible it is. But your art looks amazing! I like that! Thanks. People always ask me, if its from alice, but there is actually no relationship. The painting was commissioned by someone who collects cards, that's why I had put these elements in there. Thank you, so glad, you like it! Using Adobe Animate for most of my animations. Yes, ab bit bouncy, but that's what I wanted. Plus, I try to stay within a 2 sec time frame per cycle, to keep the filesize reasonable for a gif. I may even make another version, with more elements moving and then save it as a movie clip. I know, this post may not be focused enough on my art alone for nTopaz, with the link to @steemitbloggers and the poll. I just thought it would be inspirational for some members of this art community. 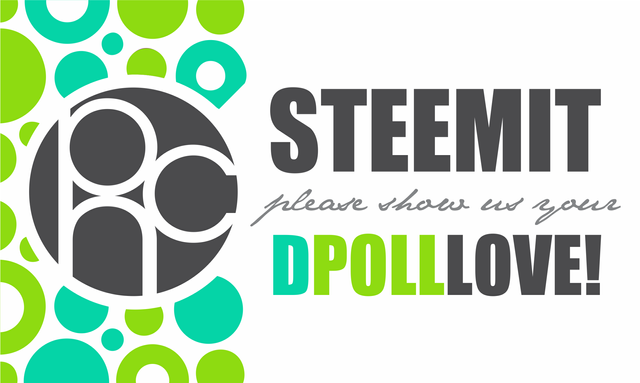 I think #powerhousecreatives would be a great group for more of us to belong to and getting the steem delegation would help a lot of dedicated fellow steemians. Of course your vote in the poll for steemitbloggers would be greatly appreciated. Hi Reinhard, yep I voted for Steemitbloggers as I think any comms that you would recommend must be really awesome :D :D :D GOOD LUCK!!! Thanks a lot for the vote. Each one counts, as you can see. You're such a force of good, Reinhard :D Of course i'll help! Well, you know I love this piece! If you suggest the @steemitbloggers then I'm in. What do we have to do, just use their tag? Upvote their posts? I've been off steemit for a couple of days and when I return like this I always feel like time has moved in a different way. Is this the exciting new think you hinted at on Facebook? I'm still curious what that was about?! I always dream of my favourite bloggers here making some new art fueled platform, @natureofbeing and I talked about it last year, but then I was too busy to think on it anymore. I dream of an online place about art for art supported by upvotes of lovers of art with no trolls...a sort of shangrala or Heaven for digital artistic living...We can dream, eh? Just trying to find out, if there is a place and interest for it in this world. Some key figures in our area already support the idea. Yes, yes! These are exactly the things I have in mind. Wouldn't it be awesome, if you could draw something in your studio, and someone could take that original home here the same moment? I'm also thinking blockchain and tokenized art. Or AI generated or combinations of human and AI generated. The possibilities are endless! I just love how it reminds me of a MONTY PYTHON image. Just love that art style and you have hit it right on with the animation! I squeed as I watched it... That says a lot, sir! Haha, great reaction I would say! Thank you for your kind comment, I love Monty Python too! Wonderful and unique artwork! I love the clever animation! Thanks a lot. I started with the hand and then I kept seeing other parts, I wanted to be moving. Swirly swirly... trrr ... swirly swirly. So hypnotic and fantastic to watch :D.
This painting looks great animated. Hahaha.... adding exactly the sounds I had playing in my head :-) I like making those animations, as it makes it even more a story I like to tell. Thank you for your kind word. You do an amazing job yourself! Love this. Your art is unique and interesting. Thank you, each piece is a new challenge, as one of my friends always says. Some lovely art and great animation here my friend! Also a great message about the vote for @powerhousecreatives. Well done! Everyone always asks me this question. Actually, there is no connection. The piece was made as a commission for someone who collects cards. Love your art, very unique! Thank you, it’s been a long way. Thank you so very much for your kind words. I feel the same way about this wonderful community. So many talented people. And you are right might not have found them otherwise! You got more than 3500 replies. Your next target is to reach 3750 replies. Super cool artwork! I'm glad you joined our community. Is your work for sale anywhere? I'd love to check out what you have - even if I don't purchase right away. The style is quite original.